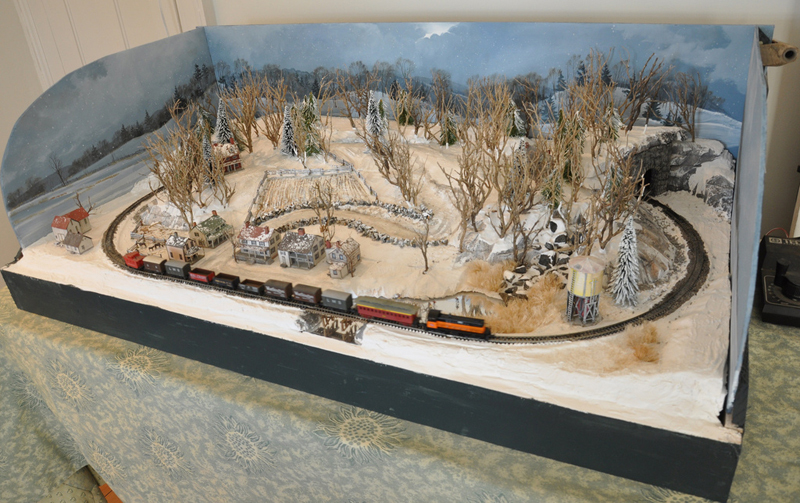 This month we will take a look at a series of Christmas layouts by Brian G Kammerer. All photos in this article are by Dana Laird. We looked at some examples of Brian’s work in a prior article “Layout Composition and Design Concepts“. 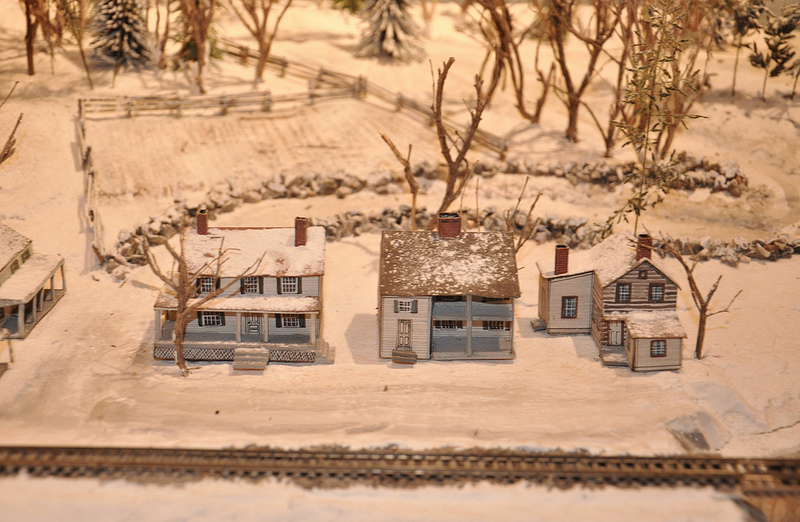 Brian has been creating small display layouts for the Rowayton, CT Historical Society Open House each year. 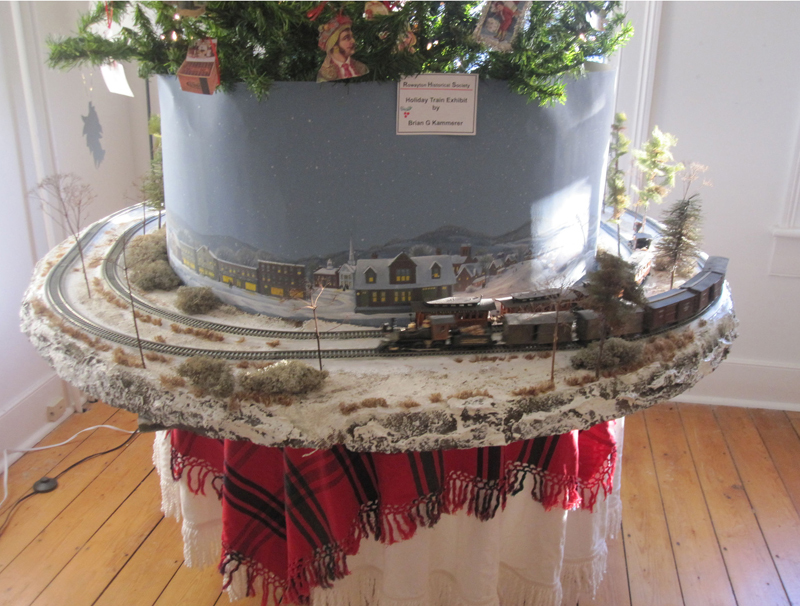 He refers to it as his annual ever changing and original Christmas layout. 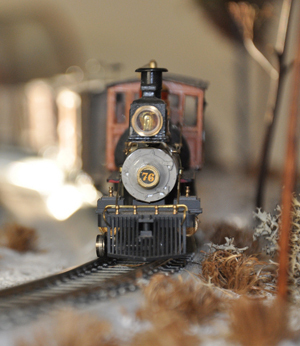 In 2010 Brian offered to setup a train layout and started with this small N-scale window layout. The layout was originally intended to fit in a kitchen window. 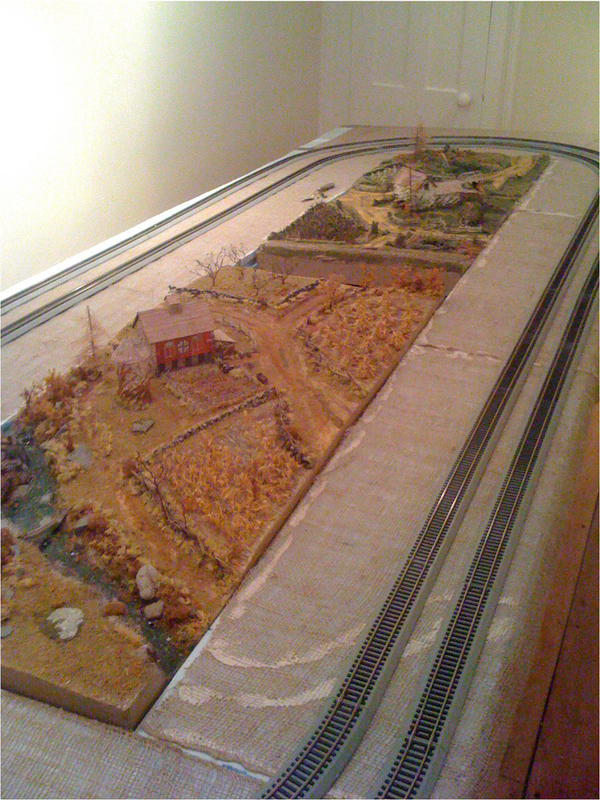 the layout made it’s first public appearance at the 2010 open house. 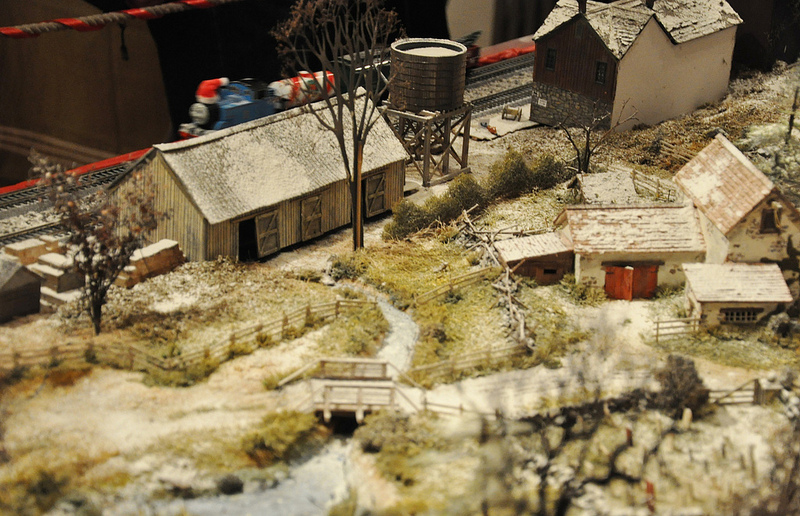 All the layouts shown have “snow” added just for the Open House. Brian uses flour since the setup is temporary. The flour makes it look like real lightly dusted snow. 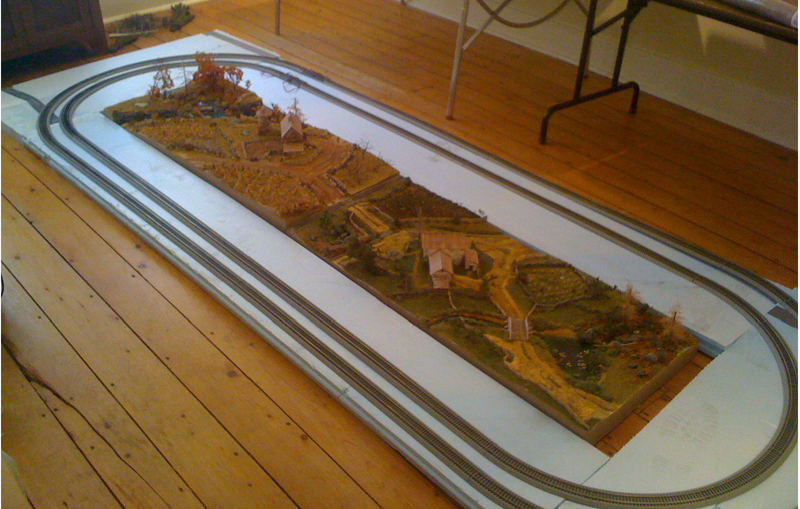 Also on display in 2010 was this round layout. 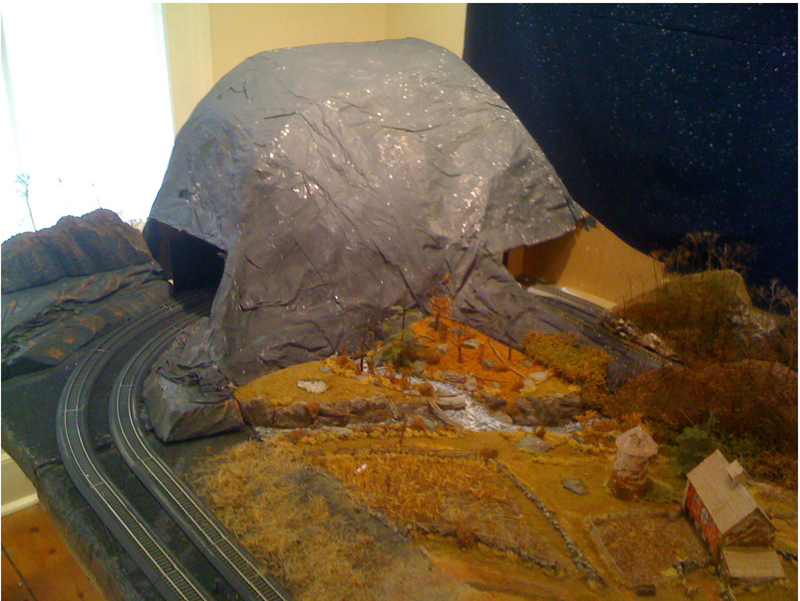 The layout was made from a rotating diorama Brian had created for his movie, The Other Great Locomotive Chase (http://www.toglc.com/). The Layout is 5 ft in diameter. Brian used used burlap as a base on the foam. The burlap gives it texture and holds any material sprinkled onto the wet paint due to the woven pattern. The layout as setup, does not have a mechanism to make it turn, but will turn by hand. 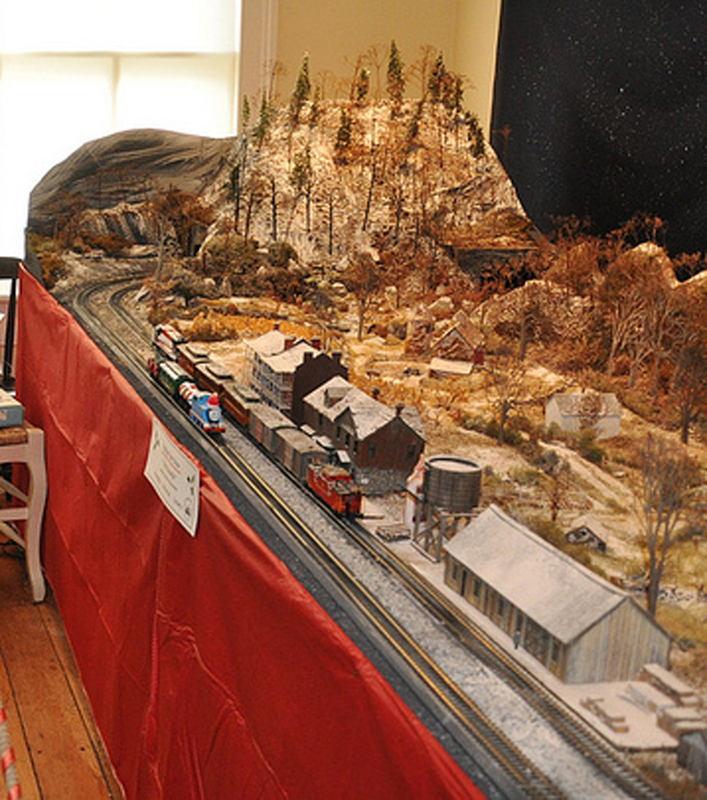 In 2012, Brian introduced another layout to the open house. This layout was significantly larger than the prior two. 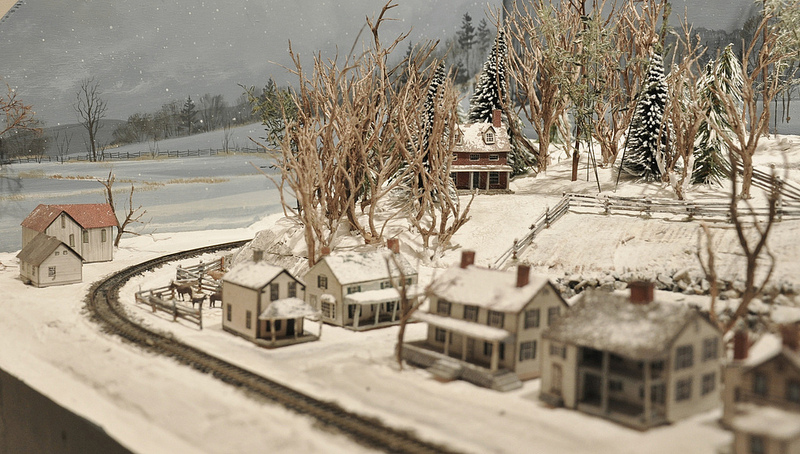 Brian used two smaller dioramas to create the larger scene. The original sizes were 20 x 32 inches. He expanded them with two sheets of 2 x 4 Blue foam board to accommodate a double oval. Burlap was added on top of the foam to provide instant texture. Mountains, tunnels and other scenic details are filled in. The pine trees are made from butterfly bush clippings with light green flocking sprinkled atop Hunt Club Green spray painted clippings. The winter trees are made from grass and weeds that grow along street curbing and cracks. 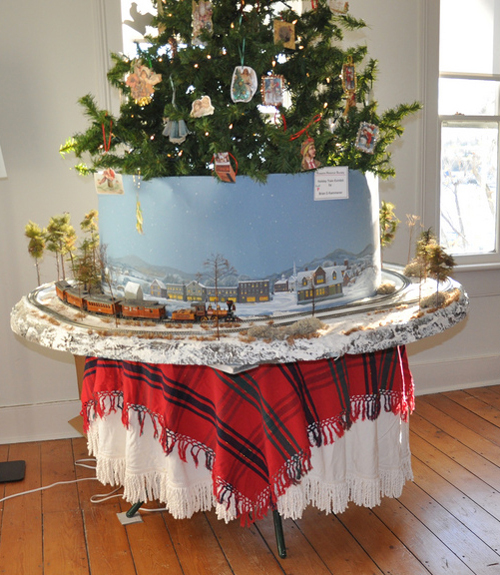 Brian is now on his fourth year and is planning to model the Norwalk Trolley Line for his 2013 display. I wish him luck and look forward to seeing the photos from this years event! 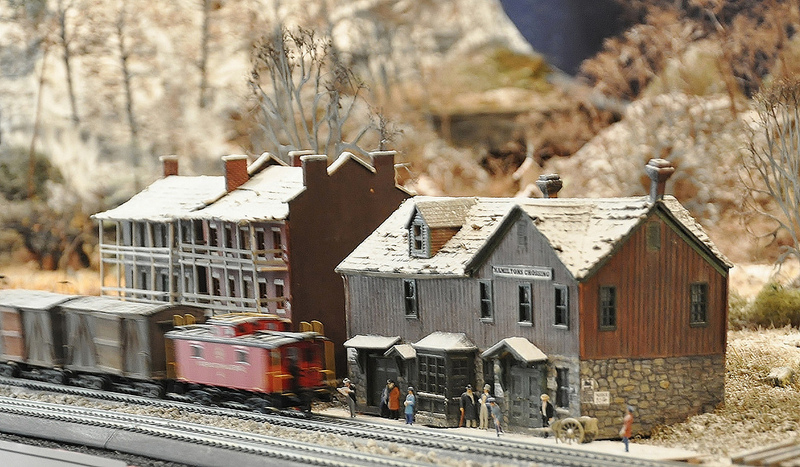 Brian is an accomplished artist with 35 years of Advertising experience and is a member of the Yahoo Civil War Model Railroading Group. You can find out more about Brian’s artist background at http://www.bkmmrr-art.com/ and his Civil War Battle Map Art project at http://www.cwbattlemapart.com/. Brian is also the creator of a movie called The Other Great Locomotive Chase (http://www.toglc.com/). 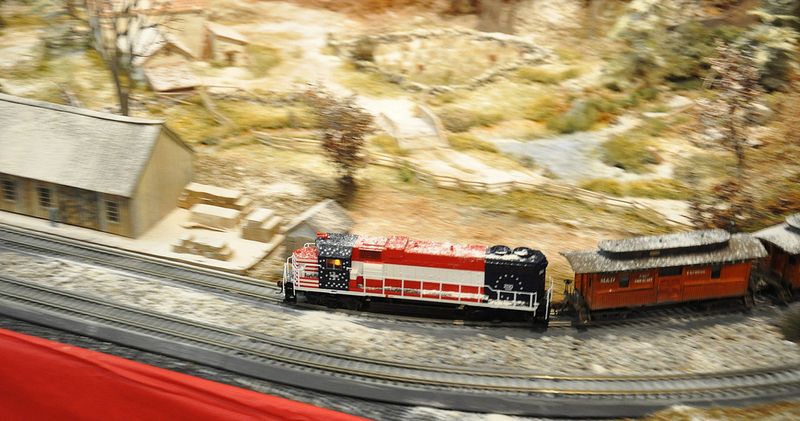 The movie is a fantastic model railroad parity to the original Great Locomotive Chase. Information about the Rowayton Historical Society can be found at http://www.rowaytonhistoricalsociety.org/. All photos in the article were taken by Dana Laird. Hats off to Brian Kammerer and Dana Laird for their work on the Rowayton,Ct. 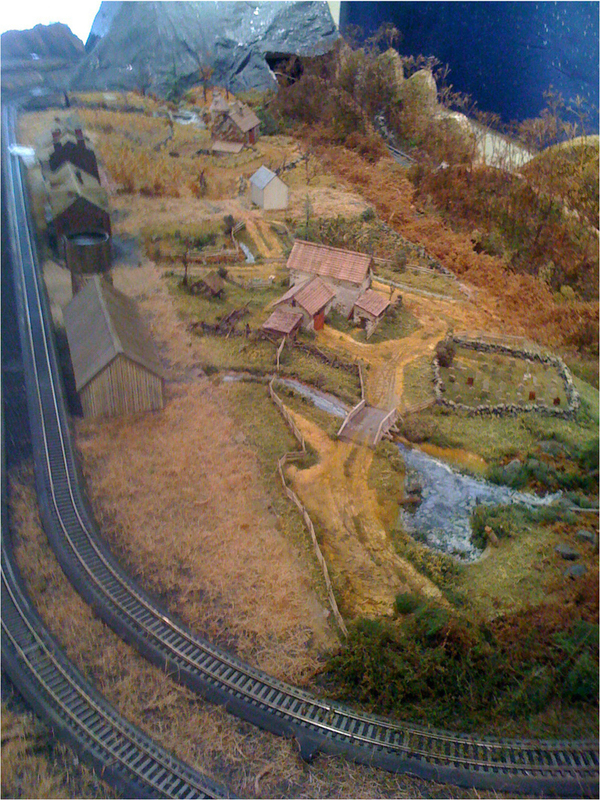 HS annual layout.The scenery was incredibly realistic and detailed. 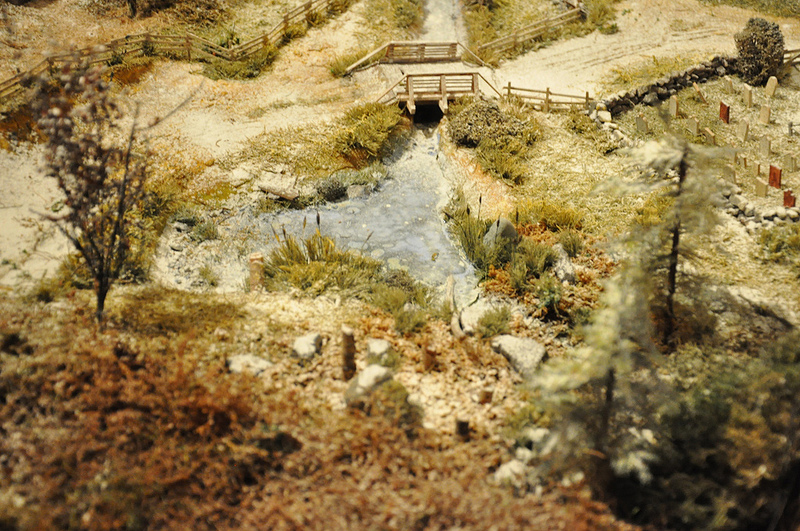 I liked how both commercial and natural materials were used to create a very realistic landscape. 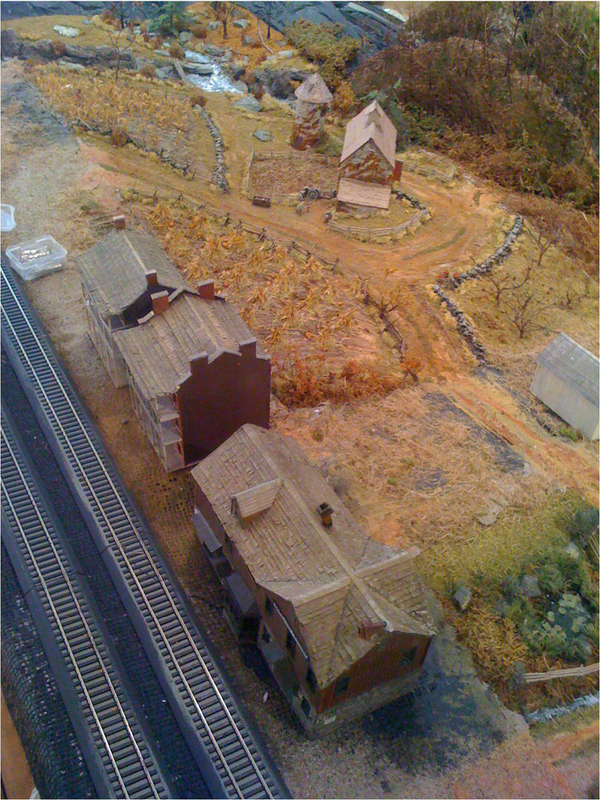 I am familiar with Mr. Kammerer’s interest in the American Civil War, I live in Virginia and many structures that appear on the layout still dot the Virginia countryside. Dana Laird’s use of lighting and photography not only captured the finely detailed scenes but also did a great job setting a mood. So excellent was their combined work that at first glance I thought I was looking at an actual prototype photograph. Thank you Marshall…just came across this ling googling one of my other links… Thanks for sharing Dana’s photography and my work !